For British Columbia’s timber barons, the forests of Vancouver Island were too rich to resist: giant spruce, fir and red cedar trees that fetched top dollar on the open market. On the island’s remote and rain-soaked Pacific coast, mechanized logging kicked into high gear in the 1950s and continued through the decades that followed. “Before 1995, no protection was afforded to stream ecosystems here,” says Jessica Hutchinson, a field ecologist and the executive director of the Central Westcoast Forest Society (CWFS). A nonprofit Patagonia environmental grantee, CWFS works to restore local forests and watersheds that have been damaged or degraded by human activity. Led by environmental scientists, the group’s research initiatives are complemented by many gut-busting days on the ground. 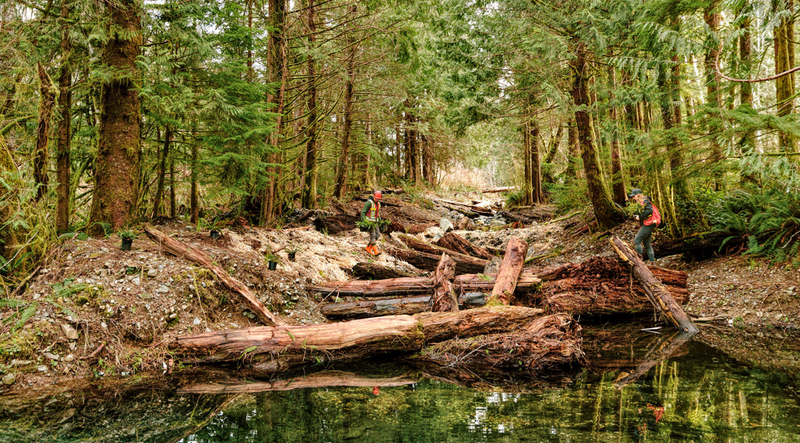 Whether it’s deactivating roads, replanting native vegetation, clearing out clogged salmon streams or thinning out second-growth trees to let more life-giving light through to the forest floor, their projects help accelerate the natural process of recovery. 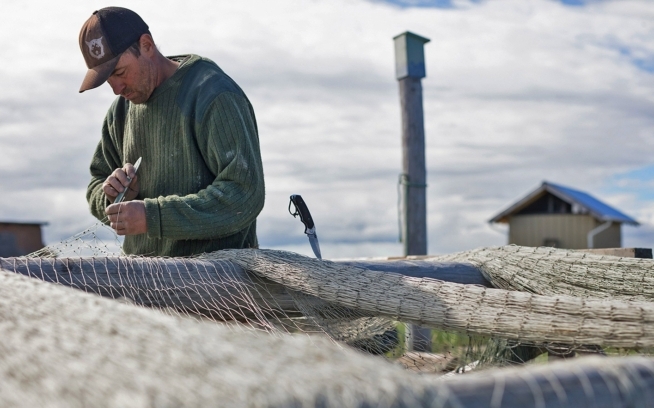 Workwear is not a new thing for us, but we’re excited to be reimagining the work-specific side of Patagonia. 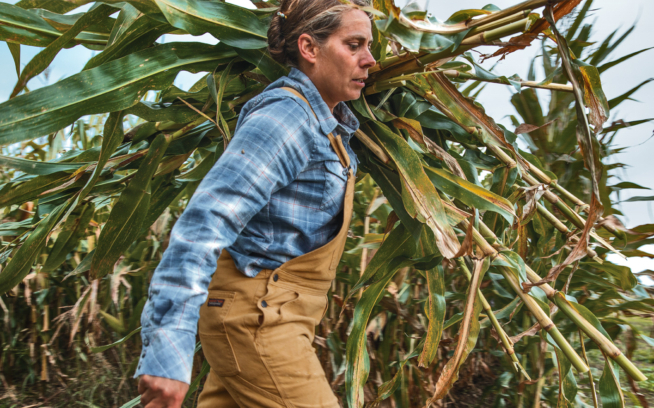 To stand up to the toughest tasks, we’ve developed a utilitarian line of jackets, shirts and pants built with super-durable, long-wearing fabrics like Iron Forge Hemp™ canvas—an innovative, heavy-duty blend of industrial hemp, recycled polyester and organic cotton. It’s 25% more abrasion resistant than conventional cotton duck canvas and needs no break-in; and our hemp-blend workwear clothing is also Fair Trade Certified™ for sewing. 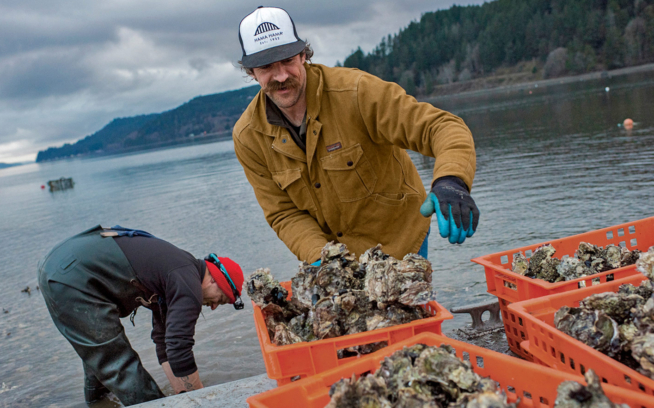 See the collection at patagonia.com/workwear. To learn more about the Central Westcoast Forest Society and support their work, please visit clayoquot.org. This story first appeared in the 2017 Patagonia Workwear Catalog.